Intel's consumer CPU focus in the first half of 2017 has been on maximising the efficiency of its laptop chips. We can argue for this point because, lately, most of the firm's innovation has been centred on the U-series. Now offering four cores and eight threads hewn from the Kaby Lake architecture, these 15W silicon supremos put desktop efficiency to shame. The enthusiast and DIY market has had something to shout about at last, though. You see, the chip giant debuted 8th Generation Core Coffee Lake-based chips just last month, packing up to six cores and 12 threads at similar thermal and wattage levels as the previous generation. But getting your hands on such a platform also requires investing in a Z370 chipset motherboard, meaning it's a clean break, as the 7th Generation Core processors won't work in the new platform. But that's OK for a number of folks upgrading from, say, a PC that's three to five years old. To them compatibility between generations is an academic concern, so the only question that needs answering is which chip and board to get? 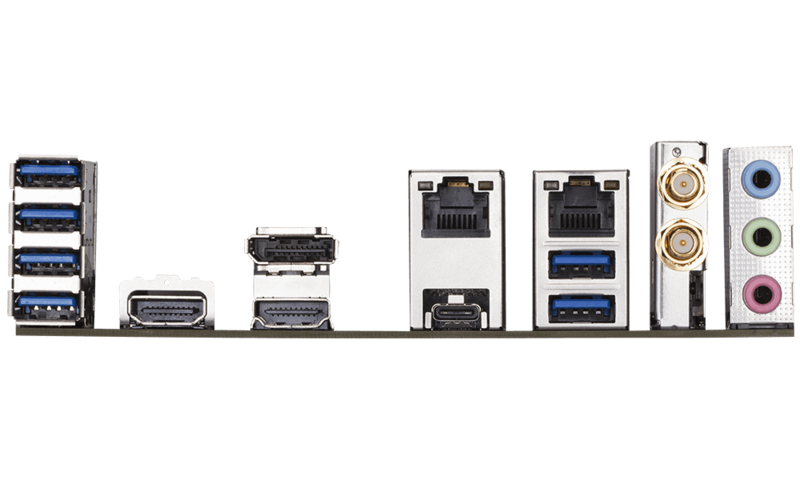 You can go normal ATX, you can go a bit smaller and look at Micro ATX, but fully appreciating the overall platform-level efficiencies baked into new architectures, why not run with Mini ITX? 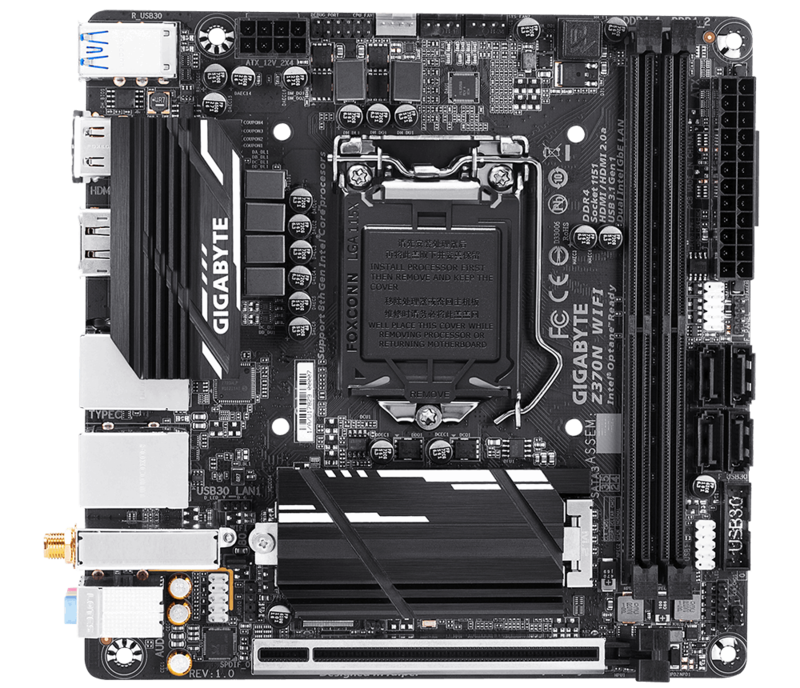 Why not, indeed, asks Gigabyte, and it supports the small-form-factor crusade with a dinky little board known as the Z370N WiFi. The black-and-white scheme belies its colourful potential; you can install a Core i7-8700K, 32GB of memory, a couple of hyper-fast M.2 drives, and a GeForce GTX 1080 Ti on to this 17cm x 17cm board. Of course, layout is key for such a small PCB. You may think that Gigabyte would take the existing Z270N WiFi, upgrade the circuity to meet 8th Generation Core standards, and be done with it. That's not the case because the board has had a solid redesign. Chief among the improvements is a full-length heatsink for the M.2 slot, situated just below the processor socket. The thick heatsink is reckoned to lower peak temperatures by a hefty margin, helping ensure the latest drives don't throttle when under load. 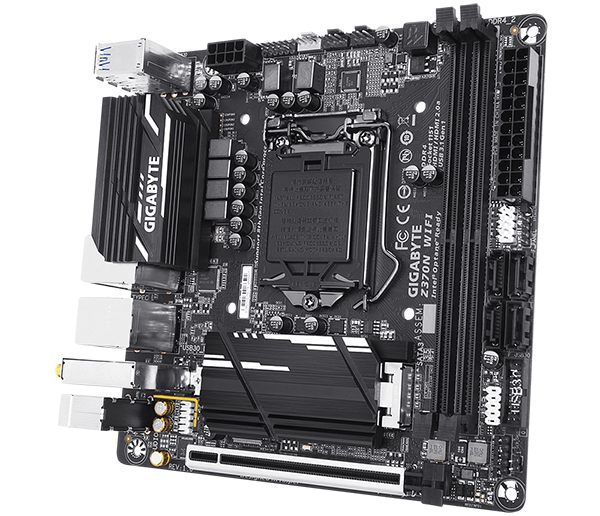 A second slot, also interfacing with the chipset via a PCIe x4 link, is present, too, available on the back of the board. The rear also contains four RGB LEDs for the inevitable light show, but if that isn't enough, the PCB houses an RGBW header and standard LED strip header, as well. These are both new for this generation. Gigabyte also moves the 802.11ac WiFi outputs - antenna in the box - further down and combines it with Bluetooth - handy for a board that is likely to be put in a small chassis and moved around. Three fan headers line the top, there are also four temperature sensors, while power is sourced by an 8-pin connector. The strengthened PCIe connector, the only one of its kind, accepts a dual-slot graphics card. Having it at the very bottom means that nothing obvious is blocked off when you start building into it. The presence of USB Type-C usually indicates high-performance connectivity. In an area of minor weakness, Gigabyte doesn't feature an add-in controller for USB 3.1 Gen 2. This means that USB speed is limited to either six USB 3.1 Gen 1 (aka USB 3.0) Type-A ports, that single USB 3.1 Gen 1 Type-C, or two USB 2.0. 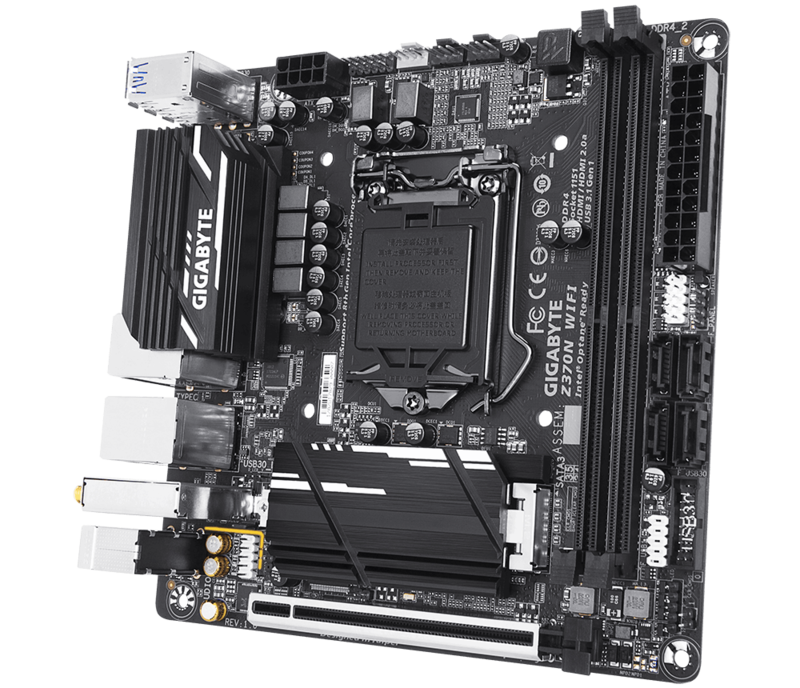 In better news, we're glad to see Gigabyte still use the advanced ALC1220 audio codec for a board at a £155 price point. Outputs from the integrated graphics are modern, encompassing dual HDMI and DisplayPort. 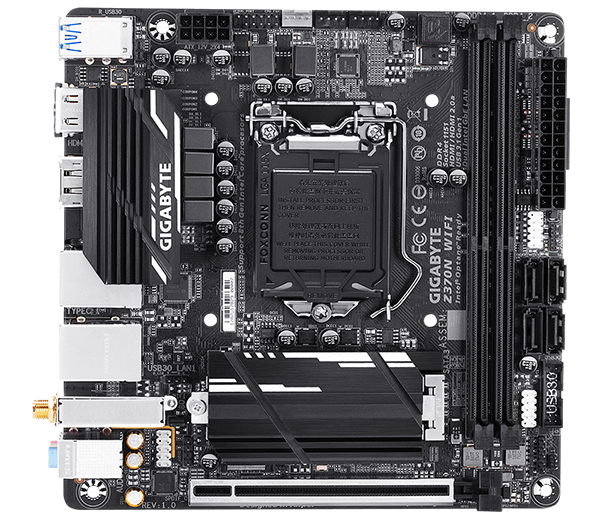 If you want a quick hardware comparison against the previous generation Z270N WiFi, Gigabyte has an extra fan header, upgrades the CPU power from four-pin to eight-pin, includes M.2 shielding this time around, has RGB headers on the board and four RGB LEDs on the back, plus a further two USB 3.1 Gen 1 ports on the I/O section. A healthy return, granted, though, in the interests of fairness, the only omission is reducing the Sata count from six to four. We oftentimes focus solely on the hardware, leaving any manufacturer-specific software benefits on the table. Gigabyte groups its Windows-based utilities under the App Center program, with anything new installed showing up on the main screen. 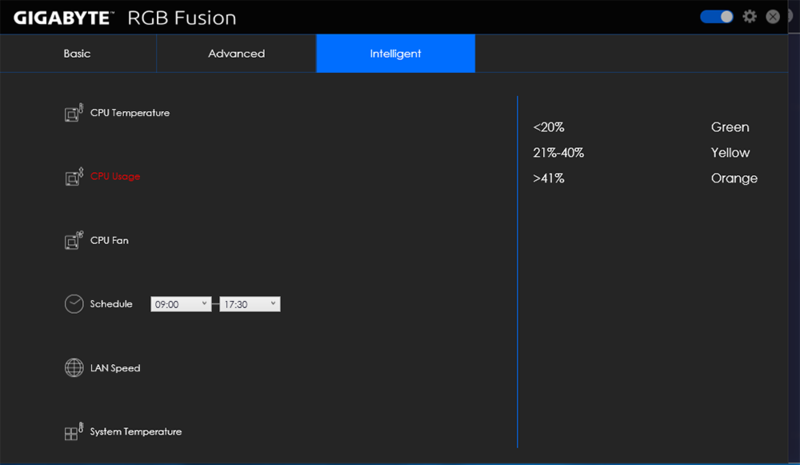 We chose to add a BIOS-update tool, an overclocking utility, and RGB fusion for the board's LEDs. Updating the BIOS is straightforward, and we used it to update to version F2b, though do be aware that any locally-stored BIOS files cannot be in folders more than one tree deep. 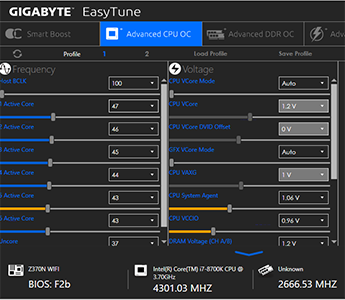 Any manifest changes in EasyTune need a system reboot, but we're happy to see Gigabyte actually apply the Intel-mandated Turbo speeds on our Core i7-8700K, rather than go for a sneaky turbo overclock that'll inflate benchmark scores. 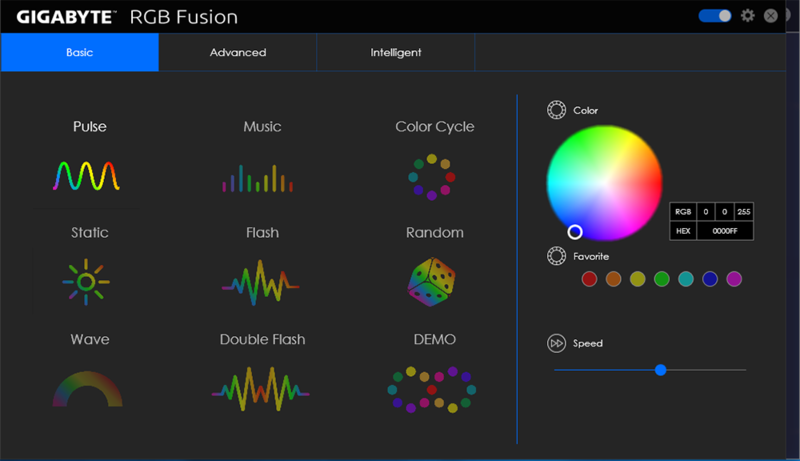 The RGB lighting is more subtle on this board than most, due to a lack of space to house lots of LEDs, and the program makes it straightforward to choose your RGB flow. You can turn it off altogether, too. Cooling is arguably a bigger concern on a Mini ITX offering. 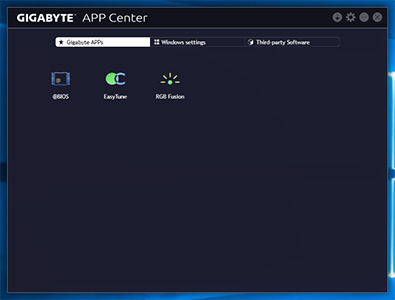 Gigabyte continues to use its Smart Fan 5 utility, where, through System Information Viewer, you can manually change the fan curve for any installed spinner. It works well enough and has an auto-calibration mode much like Asus. There's a lot to like on this pint-sized motherboard, especially at the sub-£160 price point. The only omission of note is a lack of USB 3.1 Gen 2 support. Let's now see if it can mix it with well-featured full-size motherboards in our benchmark section.